Pumori (or Pumo Ri) 7161 Mt. 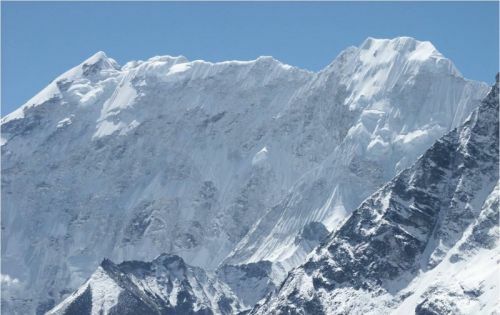 is a mountain in the Himalaya on the Nepal-Tibet border. 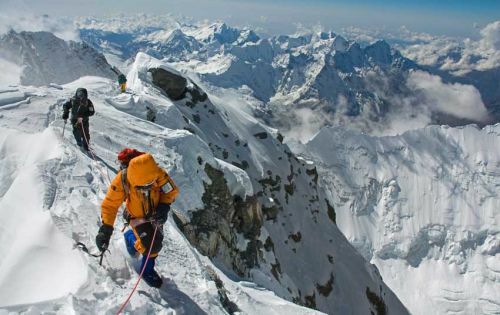 Pumori lies just eight kilometers west of Mount Everest. 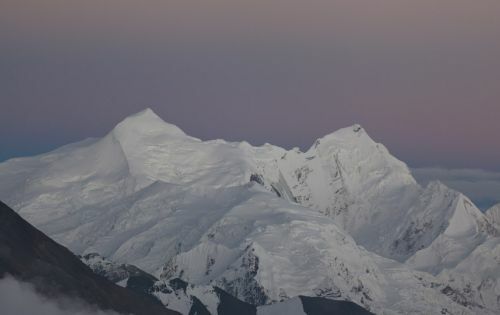 Pumori, which means "Unmarried Daughter" in the Sherpa dialect, was named by George Mallory. 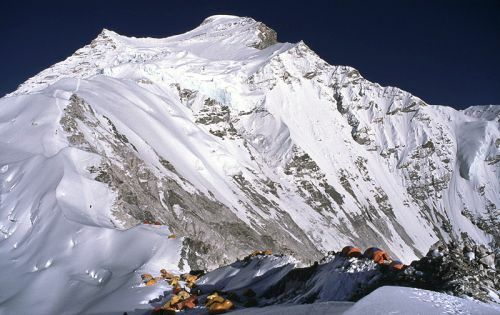 Climbers sometimes refer to Pumori as "Everest’s Daughter". 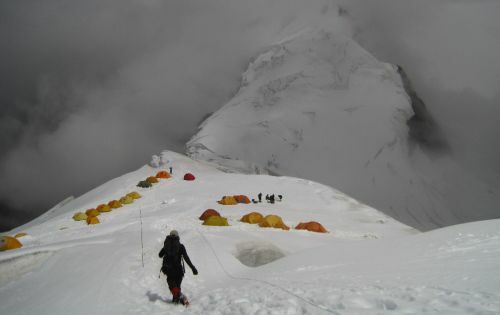 Pumori is a popular climbing peak and the easiest route is graded class 3, although with avalanche danger. 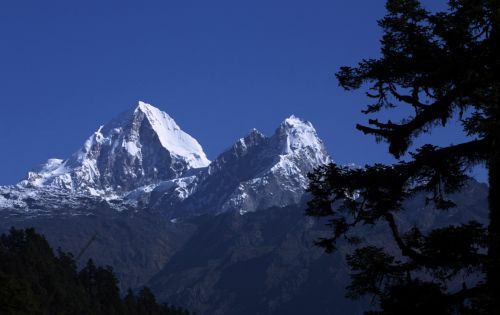 Pumori was first climbed in 1962 by Gerhard Lenser of a German-Swiss expedition.An outlier of Pumori is Kala Patthar (5,545m/18,192’), which appears as a big brown bump below the impressive south face of Pumori. Many trekkers going to see Mt. 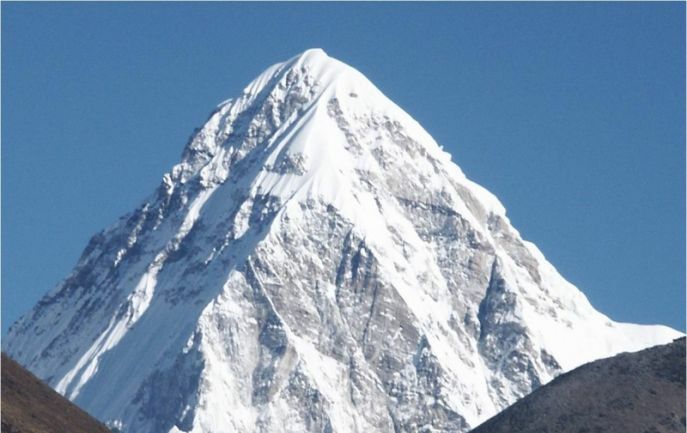 Everest up close will attempt to climb to the top of Kala Patthar. 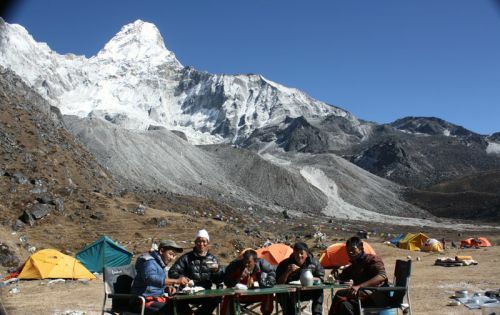 The views from almost anywhere on Kala Patther of Everest, Lhotse and Nuptse are truly spectacular on a sunny day. Day 35: Free Day in Kathmandu.